Phyllodes tumor is a rare, malignant growth of the breast cancer that develops rapidly. Read further to know more about the causes, symptoms, diagnosis and treatment of this cancerous condition. 1 What is Phyllodes Tumor? This breast lump can be either malignant or benign. It is an extremely rare tumor and is believed to account for 1% of all breast cancers. Research also suggests that women who become mother at an older age are more prone to this tumor. For instance, a woman becoming mother after the age of 30 is twice more susceptible than one who gives birth at the age of 25. 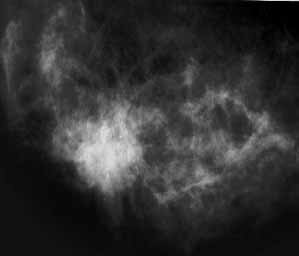 The condition is primarily characterized by the formation of large masses on the periductal stromal cells of the breast. Initially, the lump is not painful. However, patients may experience pain in the later stages as the tumor grows in size. In some patients, the skin on the affected region of the breast turns red in color. Fast growth of this tumor is another notable characteristic of this condition. On an average, this type of tumor is found to grow larger by about 2-3 cm in a span of few weeks. In extreme cases, an ulcer or wound may develop near the affected area. It is noteworthy that these tumors mainly occurin menopausal women. In adolescent girls, a similar disorder, Fibroadenoma, is more common. Benign phyllodes tumor – It is a harmless condition. Malignant phyllodes tumor – As the name implies, it is a cancerous condition. The lumps are distinguished on the basis of certain features like appearance, growth of stromal cells and the presence of epithelial cells. These lumps are generally confused with Fibroadenomas, which makes their diagnosis a bit complicated. Tests like Mammogram and Breast ultrasound are not helpful either in differentiating these growths. Even the needle biopsy technique is useless as it gives ineffective sample cells. It requires a surgical biopsy to get a good sample for cells that can help in the diagnosis. This involves detection of the lump in the breast. You can either self examine the breast by standing before a mirror or take the help of your doctor for the physical examination. This test helps determine the exact location of a tumor and provides X-ray images of the breast. This tumor is manifested by some typical features, such as calcifications or development of a round mass with edges. This technique is employed to obtain sound wave images of the breast. MRI also provides further details about the tumor that helps in the surgical process. This technique is used to take out sample cells from the affected part of the breast. 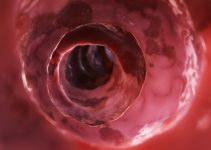 There are two types of this process – Core Needle Biopsy and Excisional Biopsy. In Core Needle Biopsy, a needle is used to take the sample cells while in Excisional biopsy the entire tumor is removed. The sample tissue is examined for the confirmation of Phyllodes tumor. The tumor can be either benign or malignant. Each type has its unique traits. Benign tumors have distinct edges, contain epithelial cells and have stromal cells with a normal appearance. 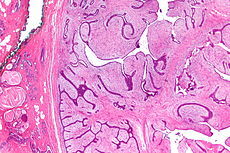 Malignant tumors, on the other hand, have edges that are not distinct. The stromal cells in these growths have an abnormal appearance. The epithelial cells, in these cancerous lumps, may be less or absent due to overgrowth of stromal cells. The use of drugs is not much beneficial in the treatment of this type of tumor. Moreover, the effects of radiation and hormonal therapy are also limited. In case the tumor is in the benign stage, it can be removed by Lumpectomy. If the tumor is malignant, however, treatment involves use of Mastectomy. Wide local excision is another common method to treat malignant tumor. If you suspect an abnormal lump in your breast, get in touch with your family physician on an immediate basis. Early diagnosis and treatment will help you avoid worsening of the condition and have it cured in the very early stages. With proper treatment, you can get back to health within a short time.